When the strongest storm to ever hit the Philippines – Typhoon Haiyan – struck the island of Sicogon five years ago, it left a trail of destruction in its path. The 6,000 residents on the island were left homeless. “You can see how the typhoon will destroy you but you don’t see how they are going to destroy you,” Gonzales said. 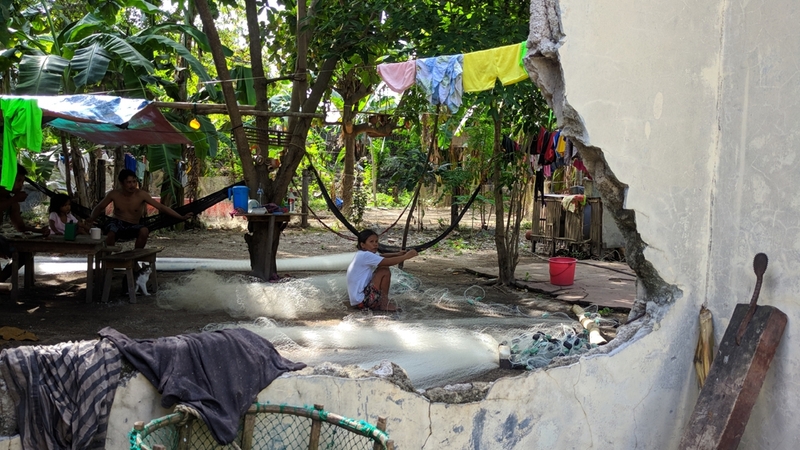 Today, he says the residents face an even bigger battle – eviction from their island by one of the wealthiest and oldest business conglomerates in the Philippines. 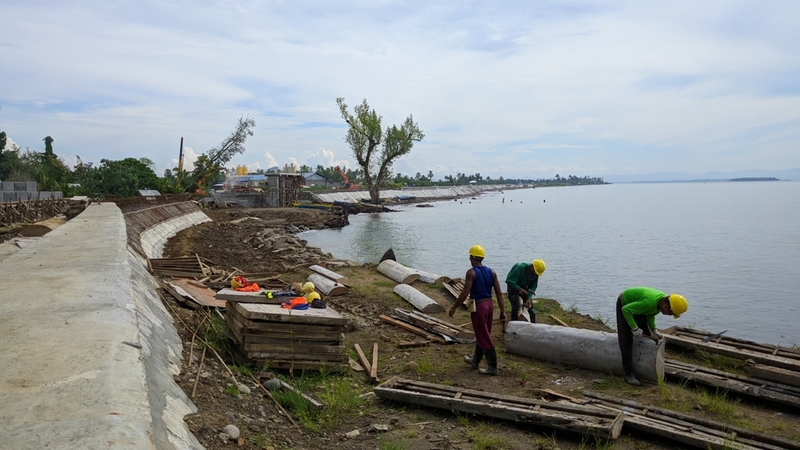 For the first time in the country’s history, the government asked 20 corporations, including Ayala, to spearhead rebuilding efforts after Typhoon Haiyan. The companies were able to choose which islands they wanted to rebuild. Ayala chose Sicogon. “They tried to starve us into taking one of their options. Their goal was to make the people lose hope from the hunger, so that we will have no other choice but to leave the island,” Gonzales says. “We made sure nobody can bring in any materials to rebuild their house. All materials, including cement and tin roofing … they don’t allow to dock near the port,” he says. “They destroyed their house and told them to leave. They even fired a gun next to a pregnant woman,” he says. Four years after the deal was signed, an airport runway and two hotels are under construction but the island’s residents say they have received nothing. “They came out with an agreement, but that agreement was useless. It only benefited their own development,” says Gonzales. SIDECO calls those allegations false and malicious, and say they are providing jobs and opportunities on the island. Ayala’s Ruel Maranan says he is not aware of any memo that ordered supplies to be stopped from reaching Sicogon, but says he will investigate the claims. He also denies that residents have been treated unfairly. “If they like your island, they will do anything they can to chase the people out, all for their own interests,” Gonzales says.